I again find it has been a while since I posted about our travels, so I guess I better bring things up to date. We spent the month of November in the same place near Darin and Diane where we spent last summer. 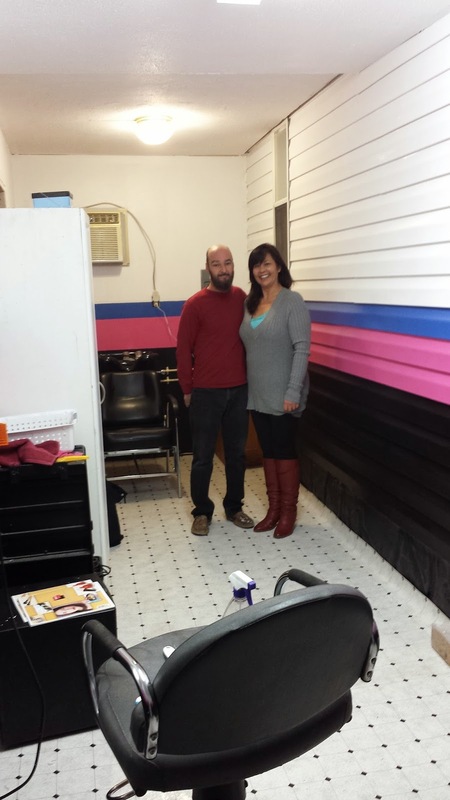 This year the project was enclosing an area of the garage and turning it into a salon for Diane. I did the electrical and plumbing work, and the rest of the crew, along with a friend of Darin's did the drywall and painting. It came out nice. Other than spending some time with them and Christine, Nathan and Skylar, we didn't do a whole lot. The weather was cool, wet and not conducive to much of anything else. One of the things that many people expect is that since we are full time RV'ers we are always doing something or going somewhere, but it doesn't always work out that way. We have spent a lot of time in the Chattanooga area and have seen most of what we want to see, so what we really do is just "live" there for a month. After an uneventful four day trip to the Dallas area we parked in an RV park near the Jennings family. Again, what we did for the most part was just "live" here for the month. There were several Dr. visits since all of Dianna's doctors are here and she needed to do all her annual stuff. She also saw a dermatologist who treated her for some skin issues that she will need to keep an eye on. We visited the Jennings family and had the kids and their friends over to visit us. Christmas was spent at their apartment, as was New Years Eve. The rest of the month has been pretty boring. Except for a couple nice days when Dale stopped by on his way west, the weather has been cold, wet and gloomy. Many days we do not leave the rig. Our plan has been to leave here on the 2nd to head for Arizona, but a winter storm may delay that for one day. It's kind of wait and see. The salon looks very nice.